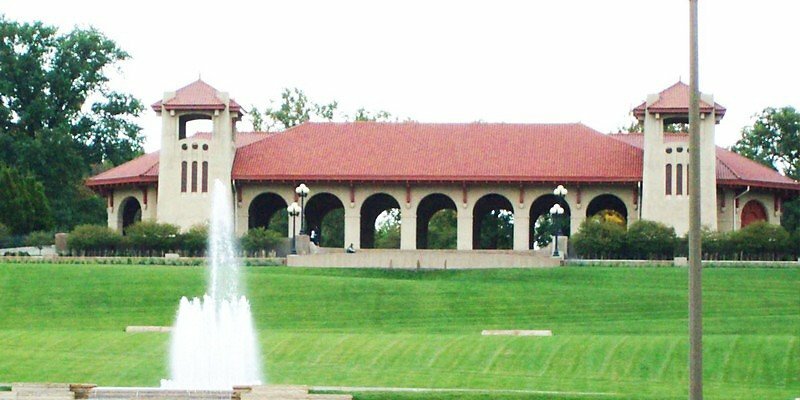 Sitting high atop Government Hill, the World’s Fair Pavilion commands a dramatic view of Forest Park. This magnificent open air shelter has been one of the park’s most popular and impressive attractions since it was built in 1909 with proceeds from the 1904 World’s Fair. Forest Park Forever raised $1.1 million to totally renovate the building in 1998. The World’s Fair Pavilion provides a picturesque setting for company picnics, private receptions, benefits, special events or parties. The covered floor area of the open air pavilion can seat approximately 500 people. Larger crowds can be accommodated if the accompanying park grounds are used.